The Age of Kings is set in the Middle Ages and contains thirteen playable civilizations. They are the Britons, Byzantines, Celts, Goths, Teutons, Franks, Mongols, Chinese, Japanese, Persians, Saracens, Turks and the Vikings. Players aim to gather resources, which they use to build towns, create armies, and defeat their enemies. There are five historically-based campaigns, which constrict the player to specialized and story-backed conditions. There are three additional single player game modes, and multiplayer is supported. 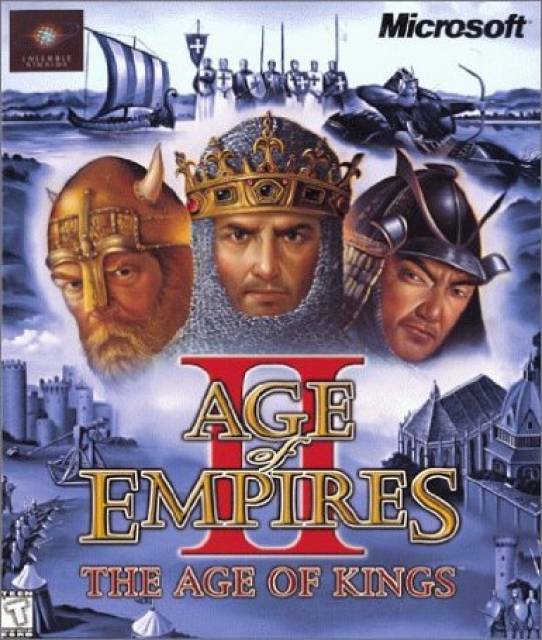 Despite using the same game engine and similar code to its predecessor, development of The Age of Kings took a year longer than expected, forcing Ensemble Studios to release Age of Empires: The Rise of Rome in 1998 instead. The design team focused on resolving significant issues in Age of Empires, but noted on release that some problems remained. The Age of Kings focuses on building towns, gathering resources, creating armies, and destroying enemy units and buildings. Players conquer rival towns and empires as they advance one of 13 civilizations through four “Ages”: the Dark Age, the Feudal Age, the Castle Age (The Middle Ages), and the Imperial Age, reminiscent of the Renaissance-a 1000 year timeframe. Advancing to a new Age unlocks new units, structures, and technologies, but players must pay a sum of resources to advance to the next age (typically food and gold) once selected technologies are researched from their current age, and certain buildings are constructed. Second link got deleted upload again. Links are fixed. Try downloading now. new expansions? is it available on your site? You have to click on “Skip AD” money button at top right corner of the screen. You have to click on “Skip AD” button present at top right corner of the screen. Once you download where does the download go?? I’m new to this and not really sure what’s going on lol How does WinRAR work? Refer to our guide section if you are new to downloading the games in parts. its showing this site cnt be reached! Hello, can you include ‘The Conquerors’ expansion pack for Age of Empires II? I and some of my friends need Age of Empires II HD and its expansion packs. Thank you!